Home / Stock Picks / Stocks to Buy / Is Amazon Stock a Bubble Right Now? Is Amazon Stock a Bubble Right Now? Amazon.com Inc (NASDAQ: AMZN) needs no real introduction at this point. If Amazon hasn’t touched your life in one way or another by now, then you live in a very special place in the world. Founder and CEO Jeff Bezos is the richest man in the world. Amazon stock has a market cap of $887 billion. And that number should pass the $1 trillion level in coming quarters. At this point, 60% of Amazon customers are Prime members, which means there are 95 million members (paying over $100 a year) in the U.S. The other 40% of Amazon’s e-commerce revenue is made up people that it’s trying to make Prime members. The benefits of Prime membership range from free two-day delivery to discounts at AMZN’s Whole Foods Market as well as access to a variety of content across the company’s various platforms. As it adds new businesses, it adds new benefits. The thing is, this fast-growing part of the business is finally slowing down. While the first 95 million were relatively easy to get, trying to convert the 40% of AMZN shoppers that aren’t members is going to be more difficult. This subscriber issue is the same thing that analysts recently worried about with streaming juggernaut Netflix Inc (NASDAQ: NFLX). Rapid growth is something that Wall Street loves, but ultimately that growth slows down and the markets get mean. Is that about to happen to AMZN? The stock is off 6% in the past month and it’s trading at a price-earnings (P/E) ratio of 145. Is this the time to take a step back before socking away some AMZN stock? Yes, Prime memberships are slowing but this doesn’t account for all the other new initiatives that Amazon is involved in, like its frictionless convenience stores and cafes, or its “Four-Star” stores. The company’s ambitious plans to open brick and mortar across the U.S. in the next couple years would more than make up for Prime memberships. And that’s only a couple initiatives. It has a new Alexa line of AI-linked products. For example, it has invested in a housing company in Southern California that will be completely Alexa controlled. If the model works, this could be rolled out as a new feature for houses and apartments in coming years. It’s looking into running its own logistics operations, especially if the US Postal Service looks to raise rates. The savings on postal fees would be enormous. And AMZN is already gaming the rates to its advantage by using the most efficient packaging to ship products faster as cheaply as possible. But a P/E of 145? Well, bear in mind that AMZN stock is up 85% in the past 12 months, so that kind of PE isn’t as crazy as it seems for a nearly $1 billion company. AMZN stock isn’t in a bubble. It’s not cheap, but there is still enormous potential — and it’s on sale for a limited time. 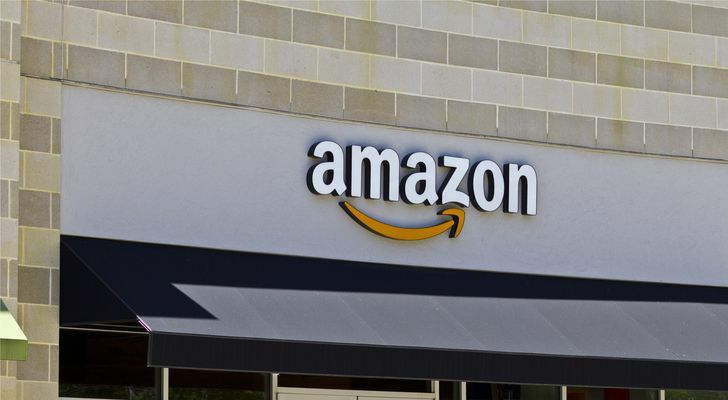 Article printed from InvestorPlace Media, https://investorplace.com/2018/10/is-amazon-stock-a-bubble-right-now/.